“We are proud to continue our support of the Riverhead Foundation for Marine Research and Preservation as they continue their mission of preserving and protecting the marine environment,” said Haugland Family Foundation founder, Bill Haugland. 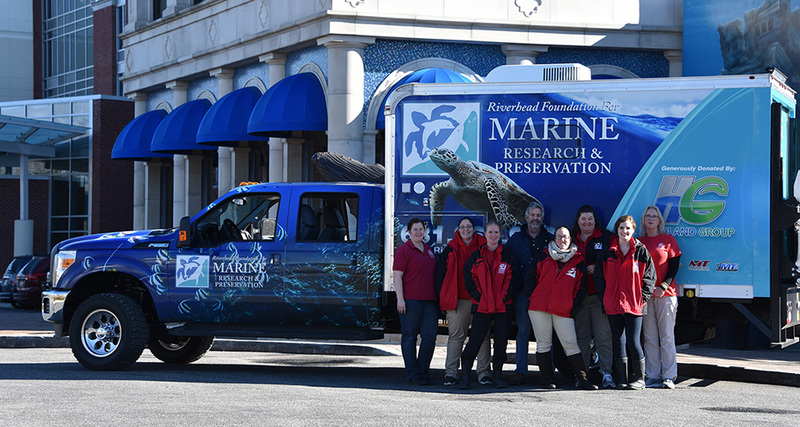 The truck was custom designed as a joint effort between the Haugland Family and leading members of the Riverhead Foundation for Marine and Preservation to ensure that it provides the foundation with the tools and support required to continue their work responding to sick and injured marine mammals and sea turtles. The custom extended wheelbase marine rescue vehicle has an aluminum interior, which is both water- and rustproof. It is equipped with a 5,500KW generator, heavy duty aluminum hydraulic lift gate, ambulance style seats with safety belts, adjustable interior LED light bars, 36 inch toolbox, wireless intercom, air conditioning and heating, and 20,000 lumens exterior flood lights.